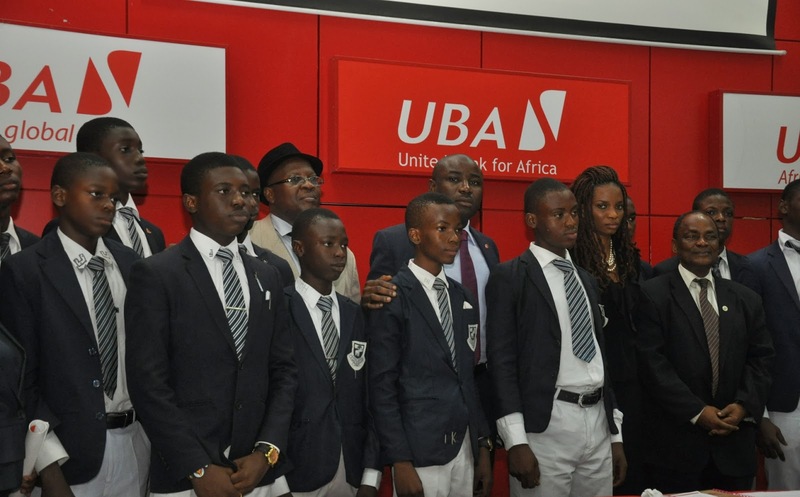 Students in senior secondary schools across the country have been invited to submit entries in the 2013 UBA Foundation National Essay Competition. The competition is organized by UBA Foundation; the corporate social responsibility arm of UBA to encourage healthy and intellectual rivalry among secondary school students in Nigeria. A cross section of Kings College students at the press conference announcing the call for entries for the UBA National Essay Competition. Ijeoma Aso, Managing Director/CEO, UBA Foundation, announced the call for entries at a press conference held on Thursday at the Bank’s Head Office in Lagos. She said that all senior secondary schools students across the country are eligible to participate in the competition. “Three best essays will be selected as the overall winners from 12 finalists that will emerge from the first round of the competition. The first, second and third prize winners will receive N1, 000,000.00, N750, 000.00 and N500, 000.00 in educational grants respectively” she said. The national essay competition is in its third consecutive year. It was first launched in 2011. There were more than 2000 entries from all over the country in 2012 representing a 300 per cent increase from the previous year. This year, the Foundation is expecting to receive more than 4000 entries for the competition. Students in all senior secondary students across the country are encouraged to send an entry within the next six weeks. Entries close by November 1, 2013 and no late entry will be accepted” she explained. All HANDWRITTEN entries should be sent to the UBA Foundation’s office in Lagos. Four renowned Nigerian Professors will review the entries and select an initial shortlist of 12, for further assessment until the overall 3 best candidates emerge. As a the CSR platform for the UBA Group, UBA Foundation embodies the Group’s CSR objectives and seeks to impact positively on the society through a number of laudable projects and initiatives..
You need to visit this blog post for some helpful tips and hints on ho wot write essay correctly. Make sure that you do it as soon as possible.